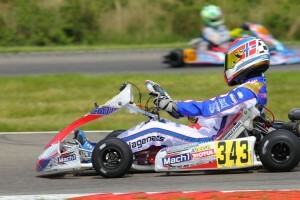 Mach1 Kart: More would have been possible in Genk! Mach1 Motorsport and their drivers Nicolai Hagenaes (KFJ) and John Norris (KF) travelled to the WSK Euro Series’ final in Belgian Genk and aimed for top ten positions. Unfortunately, in the end the team came out under their value after diversified races. Nicolai Hagenaes met strong competition at the juniors again. 73 drivers from 21 nations had come to Belgium and were able to impress due to an incredible power density. During qualifying, the entire field was only separated by a few tenths of seconds. 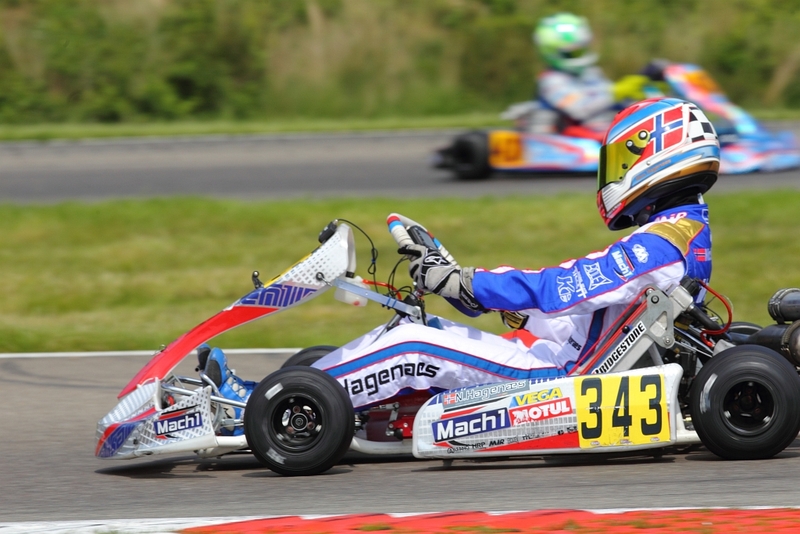 Nicolai placed on 48th position with his Mach1 Kart and was very optimistic regarding the following four Heats. Unfortunately, a couple of fights in midfield caused him to lose important positions. By achieving 9th place during the last Heat, he was still able to prove his possibilities and achieved entering the pre-final. “Our clear goal is entering the finals”, team leader Martin Hetschel highlighted in the evening. Two accidents during the pre-final caused his hopes to fade away though. At the finish line, he was only on 22nd position despite his fast lap times and had to go home early. “That was really bad luck. After a quarrel during the start, he was on a good way. Then another accident followed though. What a pity, this could have been a great final. Our chassis has worked very well under these summerlike conditions as well”, said Martin Hetschel in the evening. 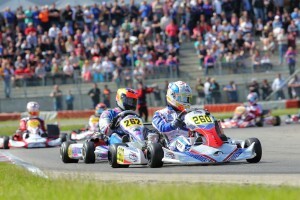 John Norris experienced a mixed weekend in the strongly manned KF class. He had to fight with unpredictable losses of performance again and again and therefore wasn’t able to prove his talents the way he usually does. After problems during qualifying, he started into the Heats from 7th starting row respectively. Despite a complete falling out during the first Heat, he achieved a promising 24th starting position for the pre-final and set a course by achieving 5th and 9th places during the Heats. During the pre-final, he was then able to fight his way forward to 17th position, but had no chance of actively influencing the racing events. During the final, he only reached 24th place in the end. “Just like with Nicolai, more would have been possible here. During his last two Heats, John was able to show where we could have gone. Now we unfortunately don’t have countable results. We’ll now have to sort out the problems until the next race”, Martin Hetschel summed up the events.